To clean breathable, waterproof garments and equipment. 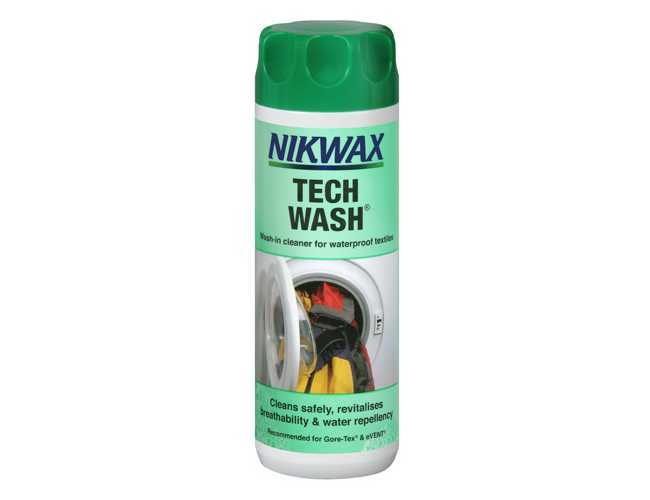 Wash the garment in Nikwax Tech Wash non-detergent soap to revitalise breathability and water-repellency. Safe for use on Gore-Tex, Sympatex, Entrant, Ultrex, TriplePoint and all liner and shell fabrics. Suitable for use on waterproof clothing, tents, awnings, marquees, rucsacs.